Whether you’ve already accepted your offer or are still weighing up your options, there are some important steps ahead and dates for the diary to keep in mind. If you missed our Applicant Days but would still like to visit us, here are your options. There are many reasons to confirm your place with us. Here’s why joining us in Leeds could be the right choice for you. Whatever you want from your university experience, you'll find it here in Leeds. 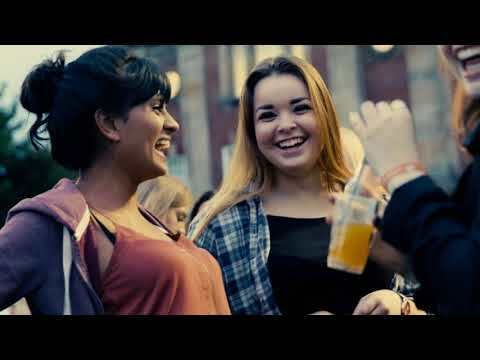 Let our students tell you about their experience living in halls at Leeds Beckett. That's OK. Here's what you need to know. Our Facebook Freshers page is a great way to meet other students joining us at Leeds Beckett in September. Talk to fellow flatmates and see who’s studying your course. Useful advice to help guide you through your early days as a student here at Leeds Beckett University. Jenny, one of our Speech and Language Therapy students, shares some Freshers tips that you might want to know. Take part in our online module to get ready for university study.